A synagogue in the town of Mitzpeh Yericho was vandalized early Thursday. 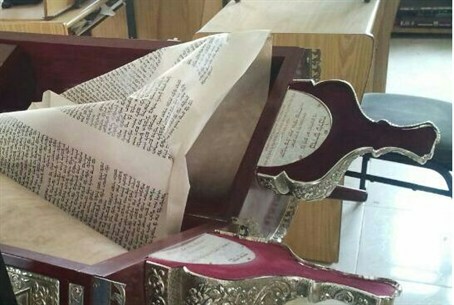 The vandals destroyed books and several objects, smashed doors and furniture – and defaced a Torah scroll. The synagogue was located in a compound that housed, among other institutions, the local yeshiva. Police have opened an investigation and are attempting to determine the motive behind the vandalism – criminal, nationalistic, or other. IDF troops and police were searching for evidence, and were searching for suspects in nearby Arab villages.